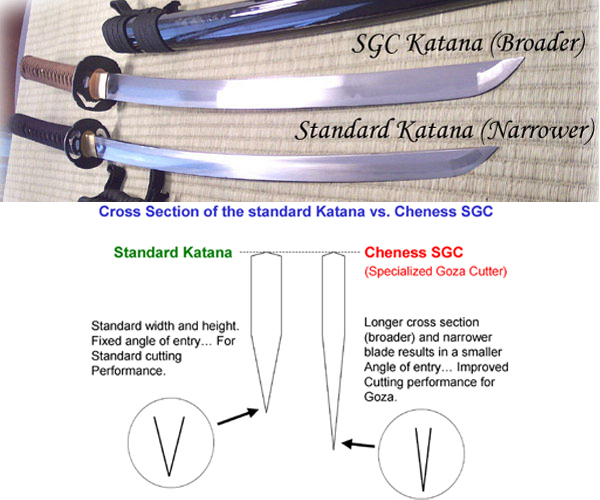 The heaviest and downright meanest cutters in the Cheness Cutlery range – the SGC (Specialized Goza Cutters) are designed specifically for cutting extra thick rolls of Tatami Omote (Goza), but also does extremely well against Bamboo (and practically anything else you want to put in front of them!). 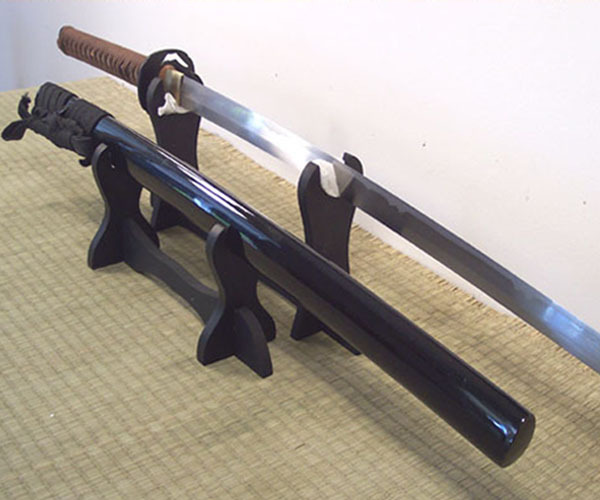 Forged from through hardened 9260 Spring Steel, the lateral strength of these massive blades is just as strong (if not stronger) than a normal 9260 Spring Steel Katana due to the additional material in the blades height. Surprisingly light (2lbs 15oz) and with excellent handling for a sword of this breadth (with a point of balance still fixed at 6” from the tsuba) the most common impression when picking this sword and looking at the extra broad blade is ‘what a beast!’. First, be patient when ordering. No tracking meant a nailbiting time for a first order from an unfamiliar website. But, the sword arrived in a timely manner, expertly wrapped and in an attractive display box as well. This sword, the SGC Yamakami, was worth every second of the wait. 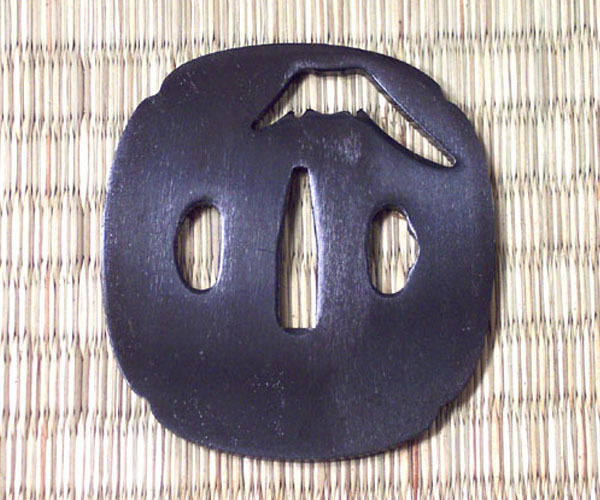 It is also easily worth two times the asking price for a functional beginners blade. From previous reading and research I was expecting a functional, sturdy blade with less than attractive fittings and a mediocre polish particularly at the tip. What I received was the opposite of everything I thought i'd have to accept in a work blade. 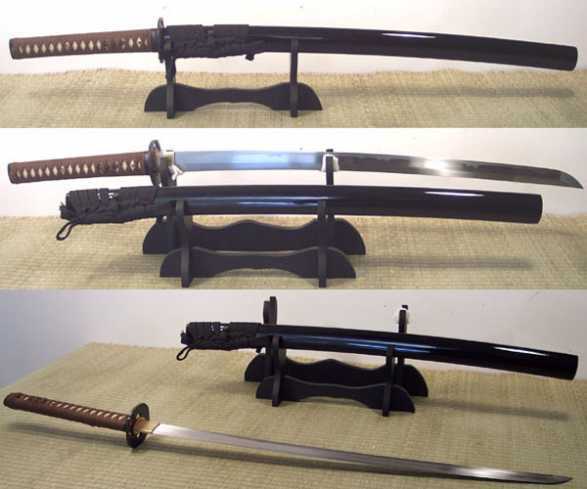 The sword is solid, beautifully polished, built like a tank and the fittings are bulletproof. This is no toy or display piece, it was bought with rough use in mind, and it inspires every bit of confidence that it will withstand everything I intend to put it through. The edge came paper-cutting sharp, no tearing. Blade geometry is perfect and straight, balance point is six inches out on the blade as advertised. 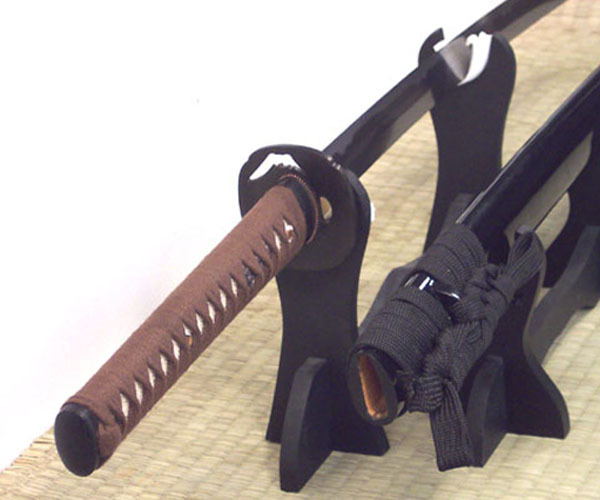 The sword is heavy, and may not be perfect for everyone, but it is the particular reason I decided to purchase it. This sword was bought for destructive testing, with the intent to purchase a second one if it proved to be worthwhile. In one month I will be purchasing a companion piece from the SBG-store.